The Victory Rollers are a live vintage vocal trio. 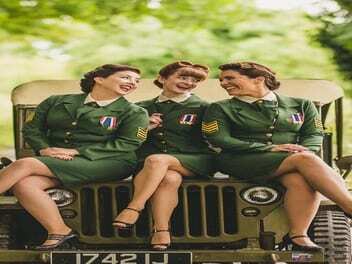 They specialise in performing the best of war time, swing and retro pop. Inspired by the sound of groups like The Andrew’s Sisters and The Chordettes, The Victory Rollers will take you on a journey back in time as they recreate the sounds of the vinyl era.